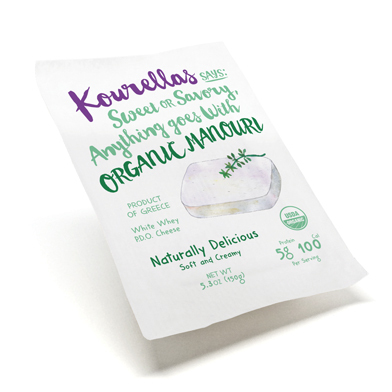 Grill or fry the Kourellas manouri cheese. Cut the cherry tomatoes in half and arrange them on a plate with the manouri cheese. 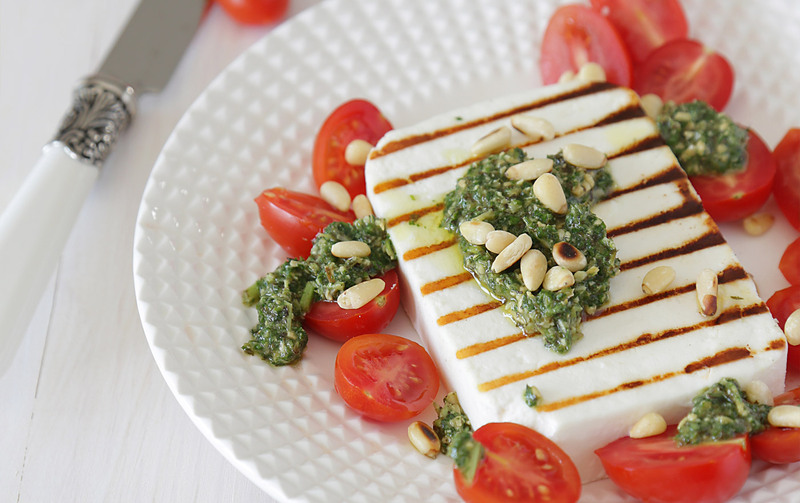 Drizzle with basil pesto and sprinkle with the pine nuts.